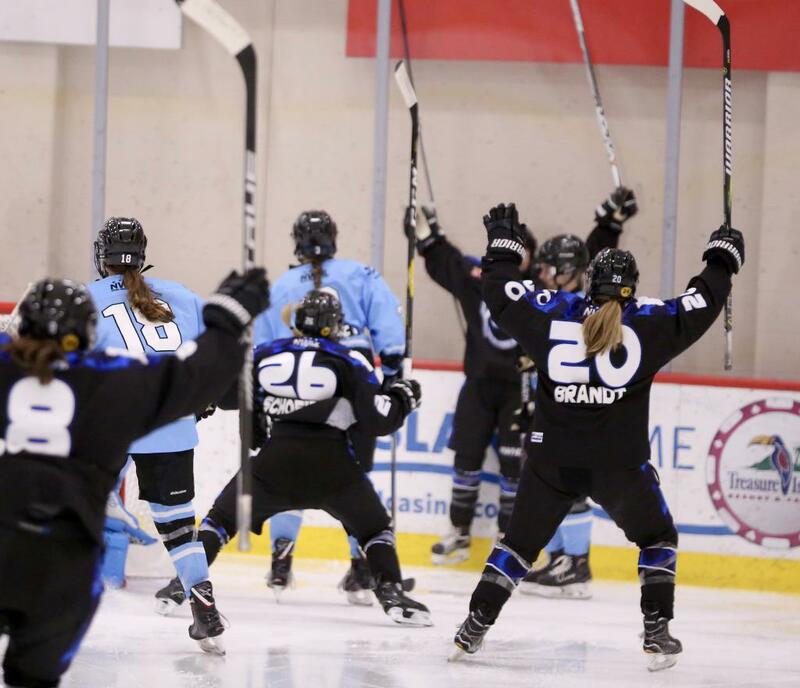 After impressive wins in the semifinals, the Buffalo Beauts and the Minnesota Whitecaps have punched their tickets to the Isobel Cup Final. Both teams will be looking to make history when the puck drops at 1 PM CT/2 PM ET on Sunday at TRIA Rink. The Beauts will be looking to become the league’s first two-time champion. Meanwhile, the Whitecaps will be looking to lift the trophy in their first NWHL season as the league’s first expansion team. All the action will be streamed live on Twitter.com/NWHL. Minnesota’s season has been nothing short of magical to this point. The Whitecaps began the campaign on a six-game win streak, leaving no question they belonged in the league. They closed the regular season with five straight wins, including a key 2-1 victory over the Boston Pride, which essentially won them the regular-season championship. As the No. 1 seed, Minnesota earned the right to host a semifinal and the Isobel Cup final. And in Minnesota, home-ice advantage lives up to its name. The Whitecaps have sold out all nine games they’ve played in TRIA Rink this season, and Sunday’s Final will likely be no different. But the Beauts have created their fair share of magic this season as well. After starting the season 3-3, Buffalo brought in Cody McCormick as head coach, and have since won 9 of their past 11 games, including a dominant 4-0 win over a strong Boston team in the semifinals. The Beauts boast the league’s two leading scorers in Hayley Scamurra (10-10-20) and Maddie Elia (12-7-19), as well as the brick-wall goaltending tandem of Shannon Szabados and Nicole Hensley. With depth throughout their entire lineup, the Beauts have looked nearly unstoppable in the latter phase of the season. The Whitecaps had the advantage in the season series against the Beauts, winning three of the four meetings between the teams. All three of Minnesota’s wins were by just one goal, including Lee Stecklein’s late game-winner that broke the hearts of a big Buffalo crowd at KeyBank Center on Dec. 29. The Beauts rallied the following day, however, taking down the Whitecaps, 4-0, at HarborCenter. With so much history on the line, Sunday’s Isobel Cup Final is sure to be a hard-fought battle between two incredibly talented teams.